Corneal failure may affect all or part of the cornea, but standard corneal graft techniques replace the entire cornea (penetrating keratoplasty or PK). 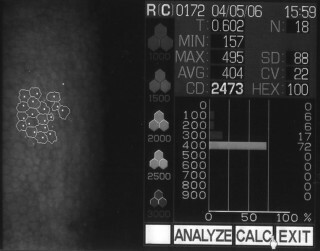 One of the main complications of corneal grafting, and the main reason for long-term graft failure, is rejection of the donor cornea, and in particular, rejection of the endothelial cell layer. Some conditions, for example keratoconus, or corneal scarring after infection, affect only the stroma, with the endothelium remaining healthy. A corneal graft that replaced the epithelium and stroma, whilst leaving the endothelium in place, would have the advantage of little or no risk of graft rejection. 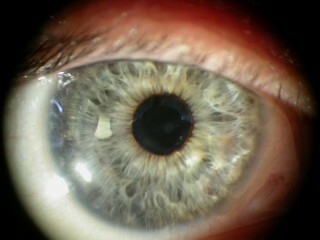 This is possible with the operation ‘Deep (Anterior) Lamellar Keratoplasty’, or DLK. In DLK, the cornea is split, leaving the deepest 5% or 0.025mm (including the healthy endothelium) in place, whilst removing the top 95%. A donor cornea with the endothelium removed is then stitched into position. DLK has the advantage of long-term safety from rejection. 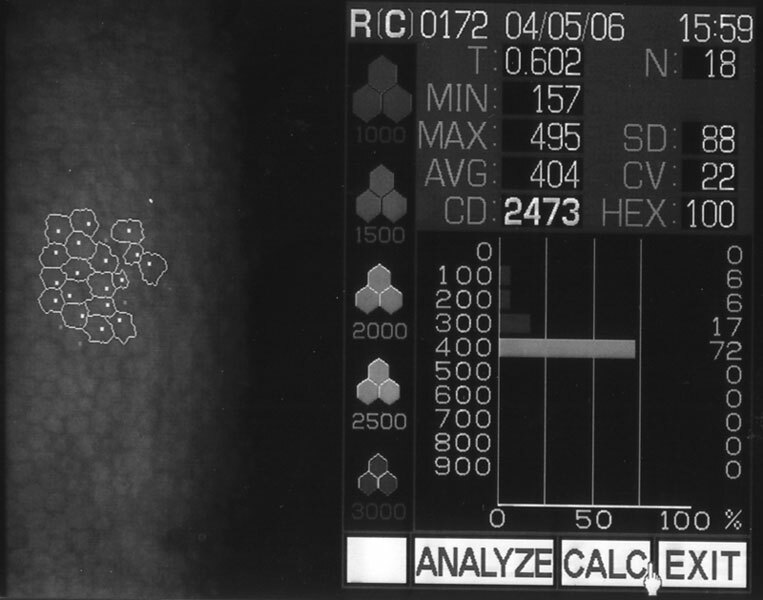 The disadvantage of DLK is that the final vision may be slightly less clear than if a PK had been performed, because of the thin layer of scar tissue where the donor cornea and the patient’s remaining cornea heal together. DLK is also a significantly more difficult operation to do, and takes approximately twice as long. 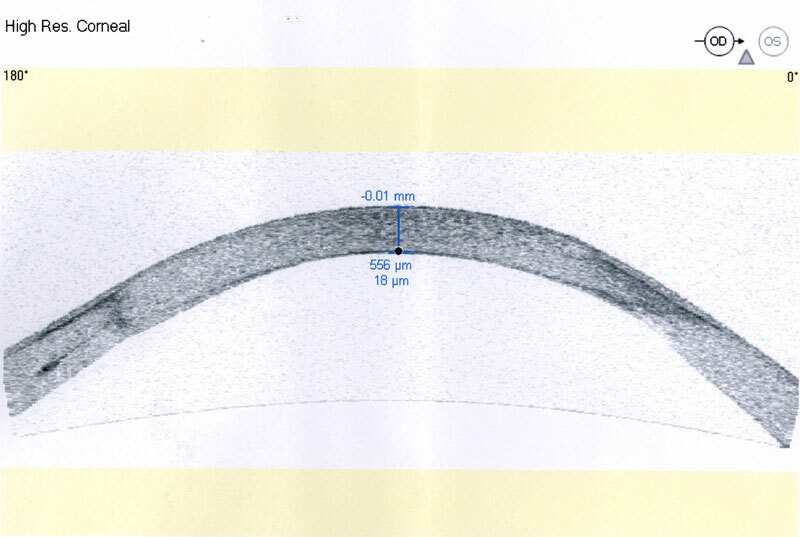 In up to 20% of cases lamellar dissection fails, usually because the tissues are too thin or weak. In these cases the operation is converted to a penetrating keratoplasty. DLK and PK are similar in the first few weeks after the operation, in that it takes time for the eye to heal and for vision to begin to recover. Eye drops are required frequently, to prevent infection and inflammation. The antibiotic drops are stopped once the surface of the eye has healed (usually 4 weeks). The anti-inflammatory (steroid) drops are continued longer, gradually reducing the number of drops per day. In DLK, steroid drops can usually be stopped after 6 months, in PK they are continued for a year, and may be required for longer if graft rejection occurs or is considered likely.